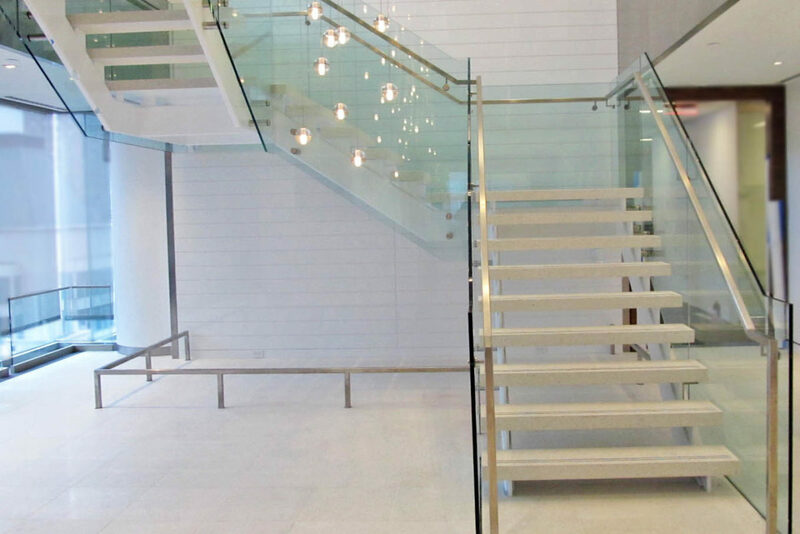 Mistral design + build staircase. 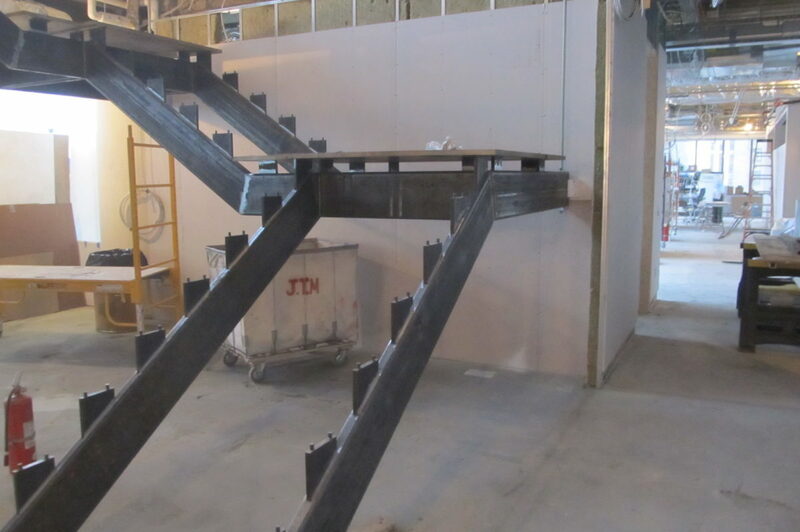 All structural steel done in house. 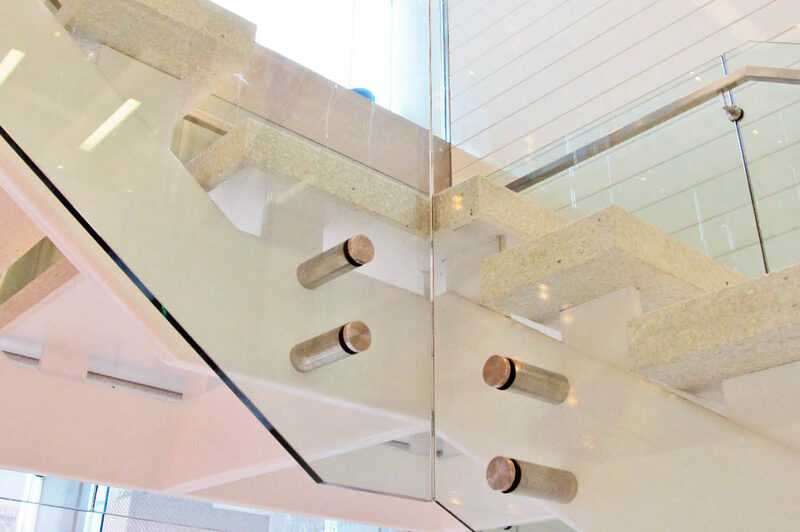 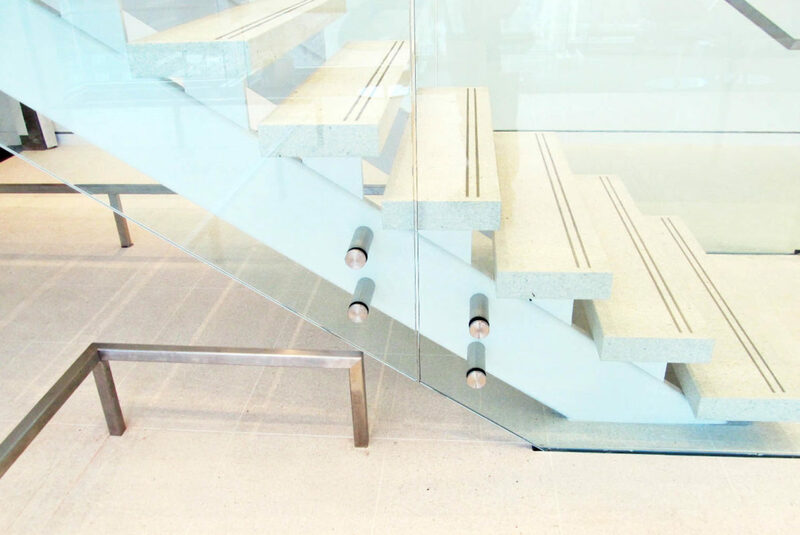 Painted structural steel stair, glass guardrails, + custom standoffs. 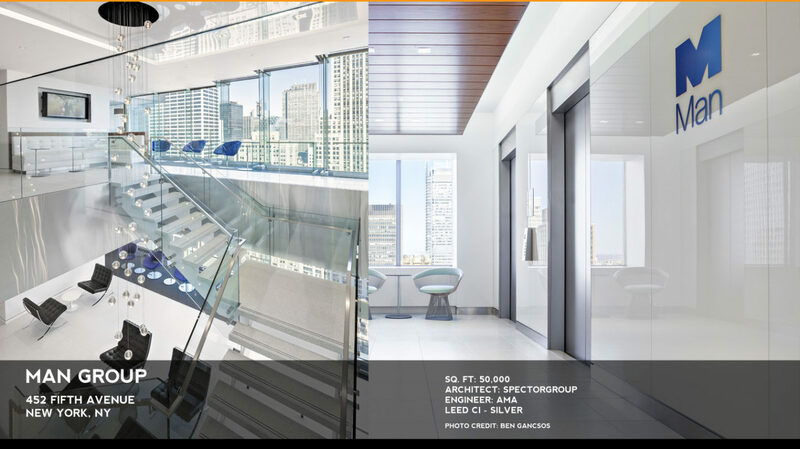 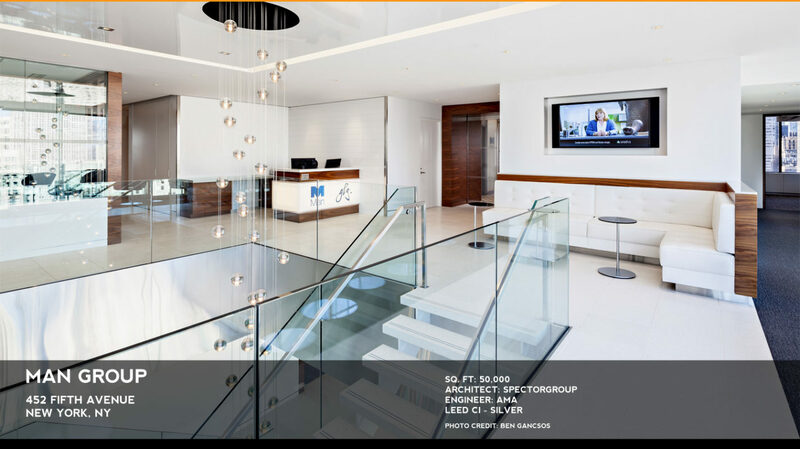 One of Mistral’s many published architectural metal + glass projects.